Oh, this sweet family! I love capturing family photography and am seriously so blessed to meet some amazing folks! This family in particular is expecting a new baby, and I couldn’t be more excited for them. My time spent with these three was so much fun, and I am excited to be able to share this beautiful session with you all! Expecting a new child is such a beautiful time in one’s life that definitely deserves to be documented. The anticipation and preparation is finally coming to an end, and it is all worth it! Not only is expanding your family a wonderful experience, but you get to meet a precious child that will bright up each and every day. Capturing the moments leading up to this new adventure will allow your kiddos and future grandchildren to reminisce on the wonderful memories shared. 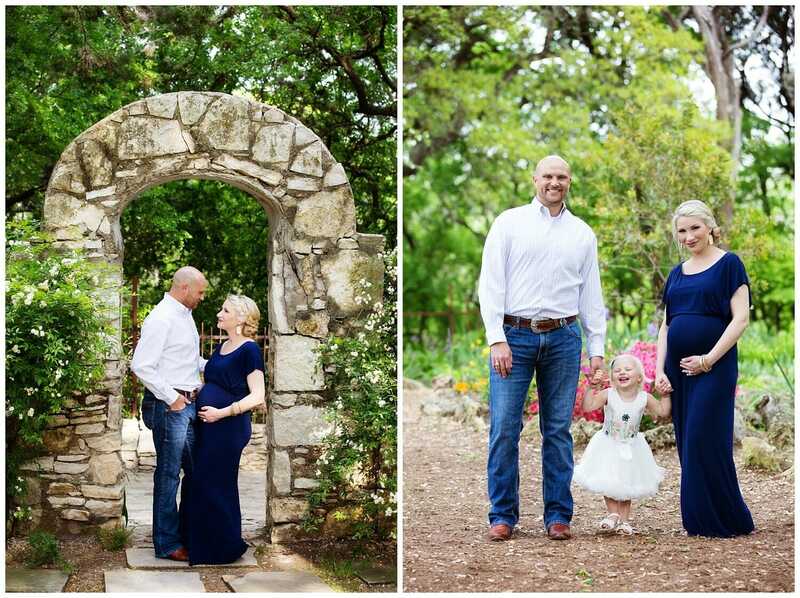 This maternity session was held in Austin. I love the breath-taking scenery in this city! We went to a gorgeous park that is abundant in wildlife, showing off the spring season. We were fortunate to fight a cute little awning and a pond, and wow, was it perfect for our session! 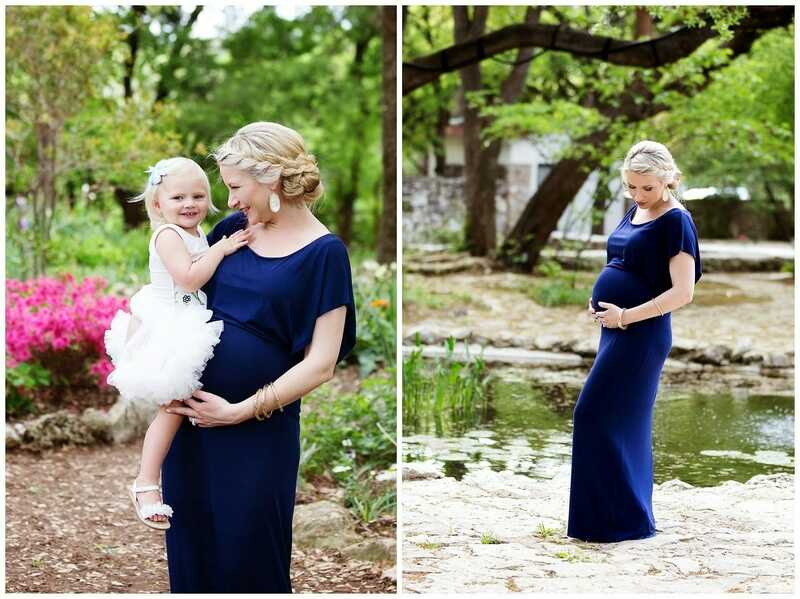 Mom-to-be wore a blue gown that showed off her baby bump. She was glowing as she stood next to her husband and daughter. Her little girl was as sweet as can be, and was full of energy and personality! She loved the attention of the camera, and looked absolutely precious as she posed with mommy and daddy. 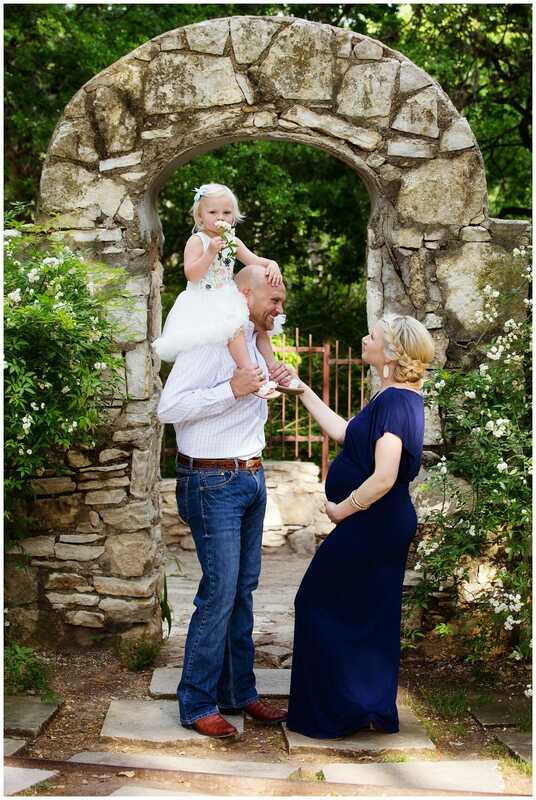 This family has so many blessings already, and have another little blessing on the way. I know that they are going to provide such a positive and loving environment to their new little one. Their baby will have the best parents and big sister ever! Congratulations to this wonderful family, and I wish them the very best on this new journey! I am so excited to share this session with you all! As their Outdoor Maternity Photographer, I can’t wait to see them again with their new addition very soon!